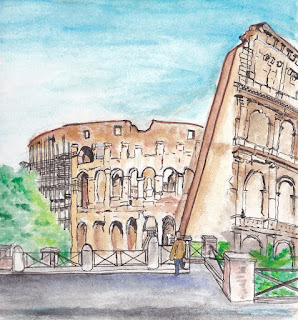 A Belated Virtual Paintout Post- Rome, Italy | Oh Sarah O ! After I finished my Philadelphia, Pennsylvania drawing for the Virtual Paintout I wanted to keep going, so I decided to check out some of the Virtual Paintout locations that I had missed. 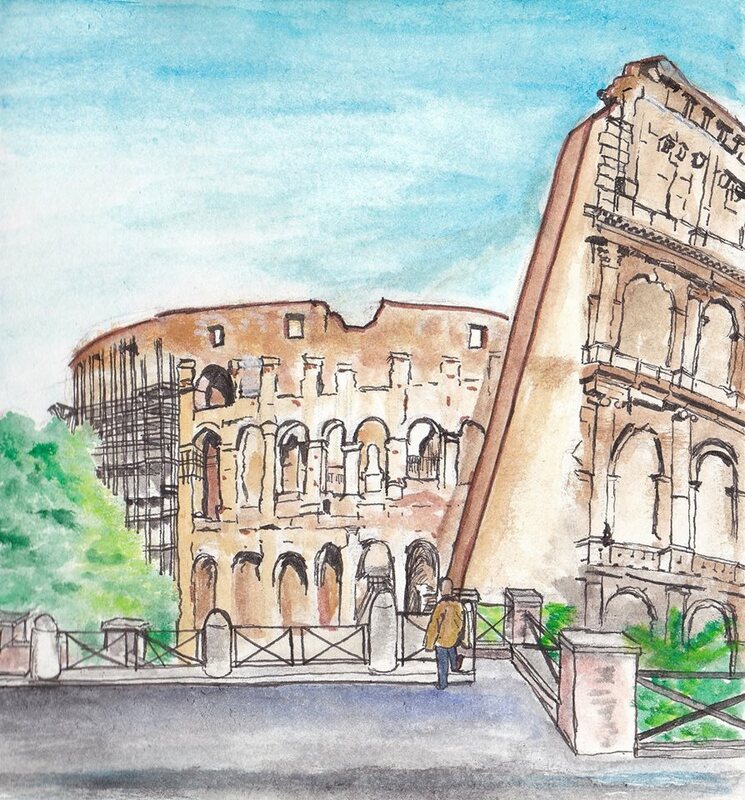 In December 2014 The Virtual Paintout focused on Rome, Italy. It was said that "If you can't find something to draw or paint at this location, you might need to give it up!" and boy did I struggle to find a location before I finally settled on the Colosseum. Classic!